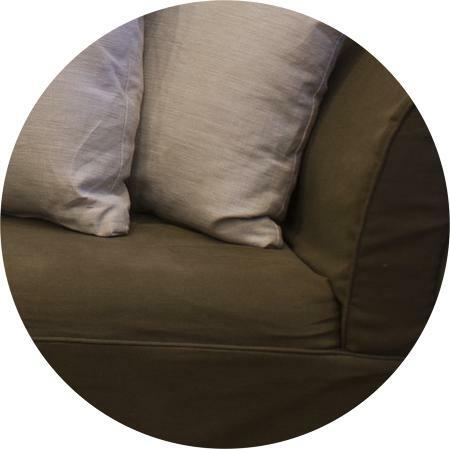 Dirty upholstery will not only ruin the look of a room, it can also be a health hazard to your home. Unclean upholstery can be a breeding ground for a host of tiny pests and unhealthy elements. At Steamaway, we understand the importance of keeping your upholstery clean. Our technicians are trained to not only get your upholstery looking its best, but also to make sure any unsavory elements are eliminated. One thing to keep in mind is that your upholstery works as a filter for your home. Just like your carpet, upholstery captures a large amount of airborne allergens. These allergens can cause a number of health issues such as trouble breathing to allergy symptoms. Having your upholstery, along with your carpet, cleaned by a professional will remove these hazards from your home, leaving you with a healthier home environment for your family. There are also a couple of steps you can take on your own to keep your upholstery maintained between professional cleanings. Most modern vacuum cleaners come with an upholstery attachment. Use this convenient tool to give your upholstery a good vacuuming at least once a week. Routine vacuuming, alone, can eliminate a majority of the problems that can come about from dirty furniture. After giving your upholstery a thorough vacuuming you should also give it a “damp dust”. Damp dusting is a very simple step that involves cleaning the traffic areas of your upholstery to remove the build up of grease and oils that can cause staining. To do this, mix 1 cup of warm water with ¼ teaspoon liquid castile soap. Dip a clean towel into the solution and allow it to absorb. Wring the towel out as much as possible and then use it to wipe down the areas of your furniture that get the most traffic. These areas include the cushions, armrests, and headrests. Combining a professional upholstery cleaning by Steamaway with these easy steps will definitely keep your furniture in tiptop condition. Keeping to an upholstery cleaning routine will ensure that your upholstery stays beautiful and healthy for many years. At Steamaway we care about the beauty of your furniture, as well as the health of your household. Give us a call at 402-331-1634. One of our friendly staff members will be more than happy to give you a free estimate on upholstery cleaning or book an appointment for you.